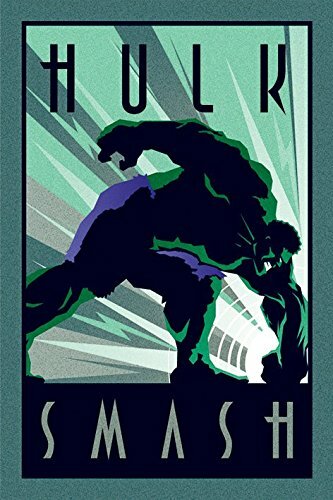 This Epic collection picks up where volume 8 of Hulk Visionaries: Peter David left off, but is somewhat of a mish-mash. A criticism of that earlier volume was that it only included the opening chapter of a four part story reconvening the Defenders. That was for the best. 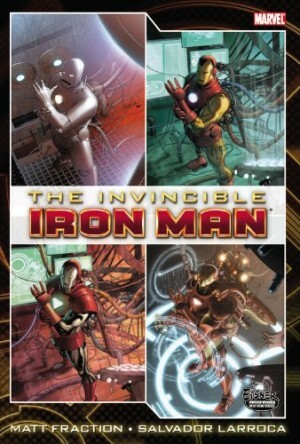 All four interminable chapters are presented in this collection, and it plummets downhill from the opening creative team of Peter David and Kevin Maguire. There’s a delicacy to James Fry’s art on the next chapter, but it’s messy looking, yet it’s as the Sistine Chapel when compared with Tom Morgan. M.C. Wyman is a little better, but the subsequent writing by Ron Marz and Roy Thomas is unimaginative page filler. ‘Ghost of the Past’ begins slowly, but develops into a tense exploration of moral decisions. 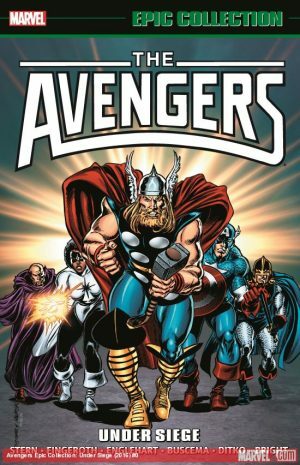 It’s a fine extrapolation of what the Leader’s been planning since David’s earliest Hulk issues, and is reviewed in greater detail under the earlier separate collection. Sadly, apart from a brief return on The End, it’s Dale Keown’s final work on a series where he’d developed massively as penciller, combining strong storytelling with imaginative page designs. His initial replacement is Jan Duursema, very capable, but not able to convey the same sense of excitement, before Gary Frank (sample page) takes over for the long term. There’s more than enough evidence that Frank would develop into a very strong superhero artist, but at this early stage of his career his figures are sometimes misproportioned and there are problems with perspective. A good coda follows ‘Ghost of the Past’, making it clear David still has plans for characters used in that story. He’s been excellent with the human supporting cast throughout his run, and that’s no different here as they’re afflicted by tragedy. 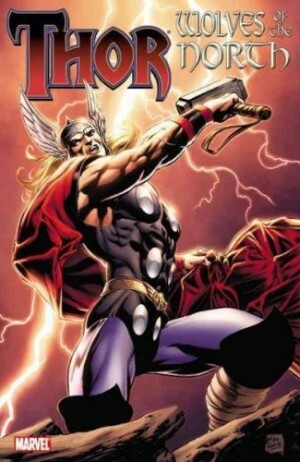 Reinstating superhuman psychiatrist Doc Samson to the cast reveals them further as they’re required to confide in him. It may seem an obvious method of constructing personalities, but no-one did it in comics before David. There’s further insight into Bruce Banner’s abused youth, but amid a strained plot that only really comes to life with David’s witty dialogue. “Are thou a warrior or a landscape artist?”, bellows Hercules as the Hulk throws a tree at him, “face me without the benefit of shrubbery!” Also good is the Hulk being told there’s a difference between leading and being in charge. 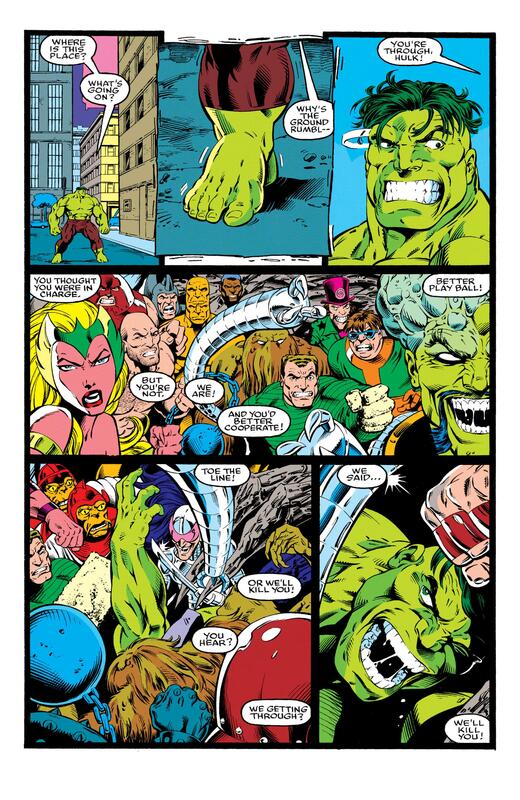 The problems of the supporting cast escalate to what’s a fine finale in the last regular Hulk comic reprinted here. David’s put everyone through the emotional wringer and there’ll be further consequences in the following collection Future Imperfect, which isn’t to be confused with the 1990s Hulk graphic novel of that name. Another Hulk annual featuring diverse creators is the penultimate offering, and the opening story poses a question. Does anyone look at the material before sending to print? The original comic featured a colouring error, rendering the same character black on some pages and pink on others, yet that recurs here, ironically in a story in which caucasian skin tone is specifically mentioned. 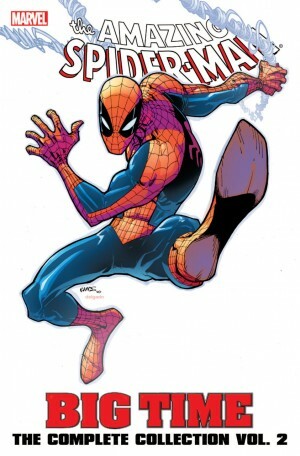 This material isn’t David at his best, and artists Kirk Jarvinen, then Paul Pelletier are very ordinary. 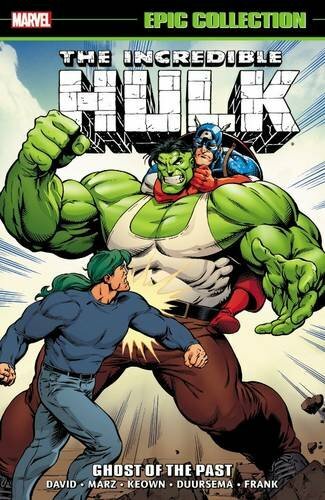 Ron Fortier’s tale of ‘A Town Called Hulk’ is the germ of a good idea, but doesn’t work overall, but Doc Samson’s problems addressing a school class by David and John Herbert ends the collection on an up note. David’s material alone would rank this collection far higher, but as over a quarter of the collection is the work of poorer writers it comes with a caveat emptor recommendation.